Overview: It is time for cats action! 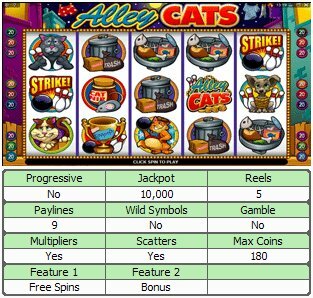 Some of the coolest cats in town set the tone for Alley Cats, a new 5 reel, 9 pay-lines video slot with amazing graphics and crystal clear digital sound effects. 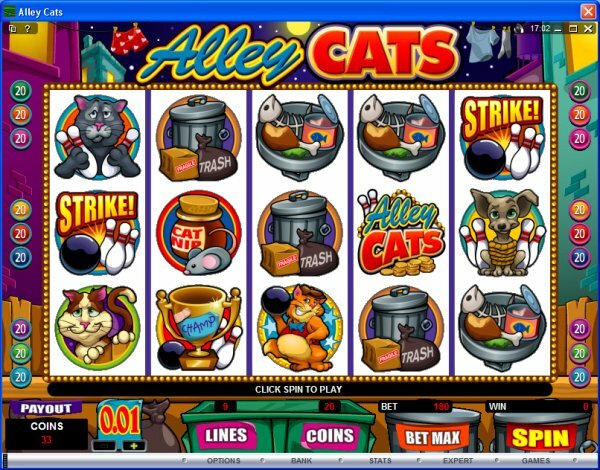 Alley Cats has a fresh and amusing theme carrying a game with loads of entertainment potential and rewards. 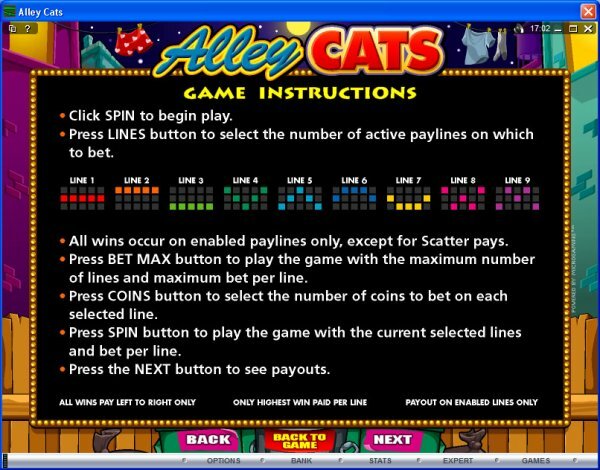 Similar Slots: If you like Alley Cats, you might like these other 5-reel slot machines: Chain Mail, Oriental Fortune, Pharaohs Tomb, Rat Pack, Star Appeal, Supe It Up.